Apple on Tuesday introduced its new Mac Pro workstations using Intel's "Nehalem" Xeon processors and an updated system architecture that delivers twice the performance of the previous model. "The new Mac Pro is a significant upgrade and starts at $300 less than before," said Apple senior vice president of Worldwide Product Marketing Phil Schiller. 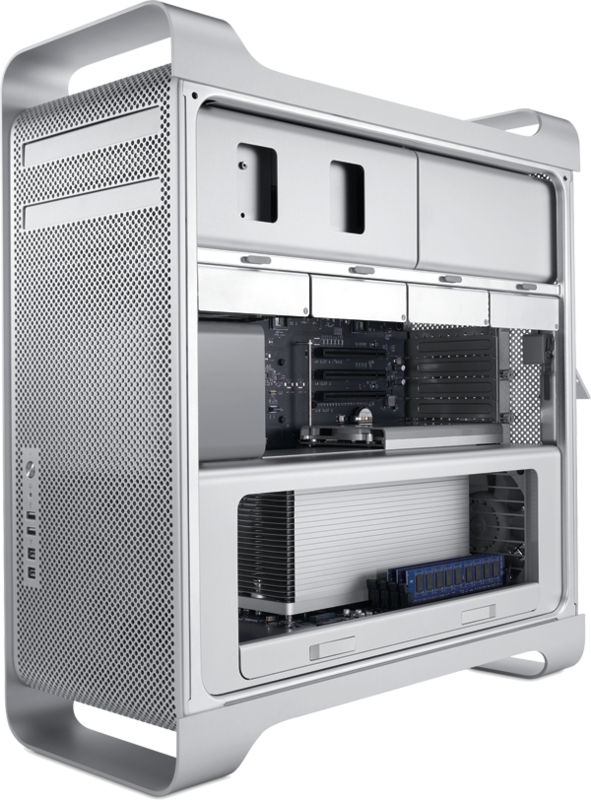 "The Mac Pro features an advanced system architecture, new faster processors and our best-ever graphics options to deliver a faster, more powerful system that our professional customers are going to love." The new machine starts at $2,499 with 2.66GHz Intel Xeon processors with integrated memory controllers. Three channels of 1066 MHz DDR3 ECC memory increase memory bandwidth 2.4 times while lowering memory latency up to 40 percent. Apple promises three times greater video performance with the NVIDIA GeForce GT 120 graphics card with 512MB of dedicated GDDR3 memory. An ATI Radeon HD 4870 is available as a custom option, and the Mac Pro has a Mini DisplayPort and DVI port, meaning it can support Apple's new LED Cinema Display as well as existing DVI based models including the 30-inch Apple Cinema HD Display. The new Mac Pro will be available next week through the online Apple Store, Apple Retail Stores, and authorized resellers. 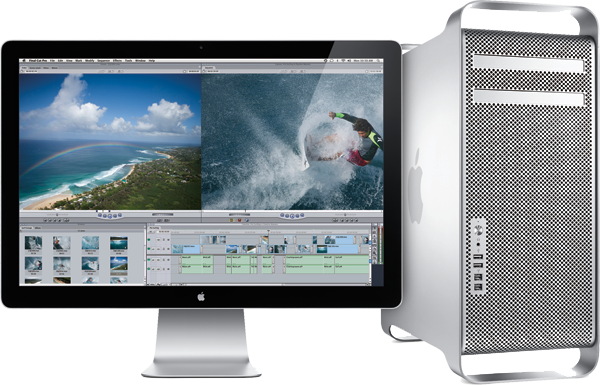 The new quad-core Mac Pro is priced at $2,499 while the 8-core model starts at $3,299.